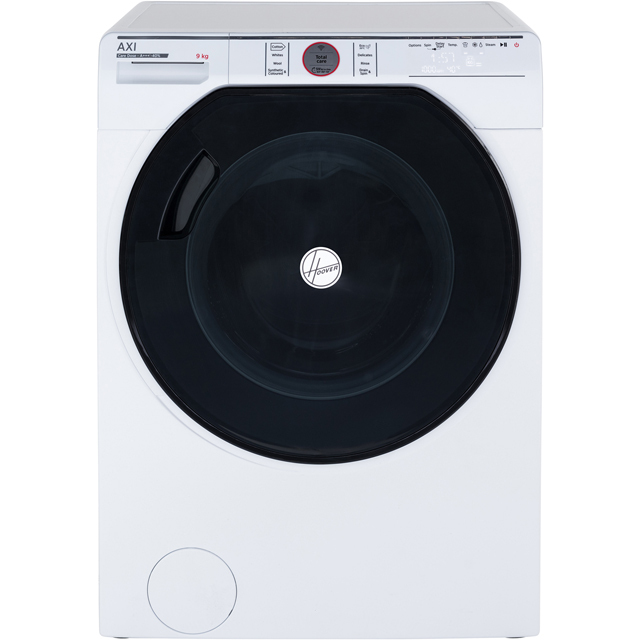 Leave your laundry perfectly clean and ready to wear with this white Hoover washer dryer. 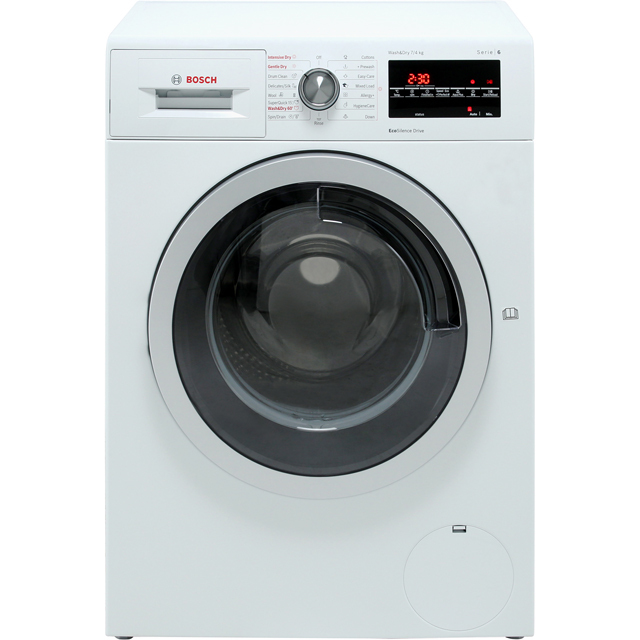 It has a generous 10kg capacity, which makes it an ideal choice for large, busy households. This model is rated A for energy efficiency and has an estimated annual energy cost of £40.04, so you won’t find it too expensive to run. There’s also a really useful Auto Dose system which does the thinking for you when it comes to working out your detergent. 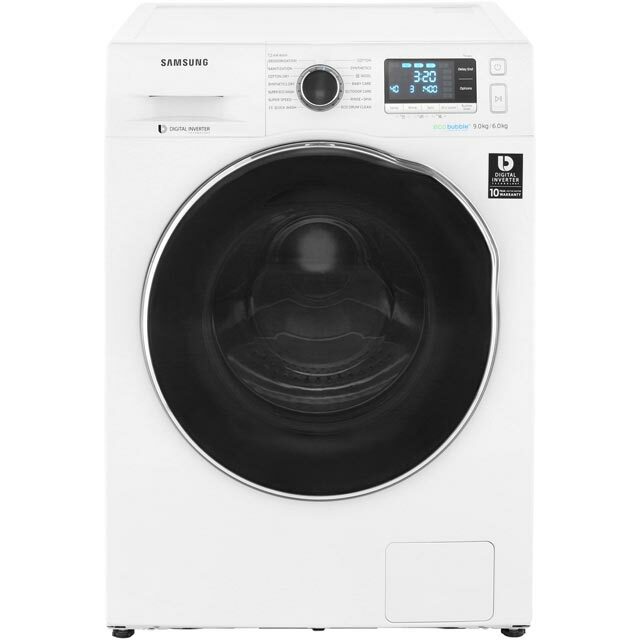 It uses clever sensors to determine which fabrics you’re washing and how dirty they are, then dispenses just the right amount for up to 21 washes. 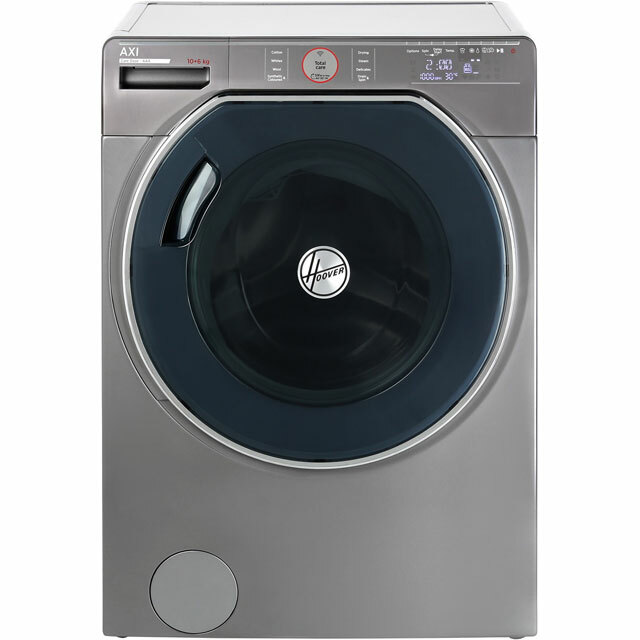 Had this for over a week, the wash is great, very thorough, and it is super quiet! Lovely large drum just right. Machine is much noisier than I expected and glad its not in the kitchen also find it overly complicated and machine keeps doing things I don't want it to! I'm hoping I get used to it but right now wishing I'd chosen a different machine. Love it now that I have figured out the buttons and programmes, automatic dosing is a plus too, I'm not going through near as much product Definetly worth the money. I've had this for a week now. Sometimes it says "close the door" when the door is already closed and therefore it wont start washing. Sometimes it doesn't show the padlock symbol meaning the door us unlocked but it wont open. When this happens I have to turn it off at the wall then turn turn it back on a minute or so later then the door will open. On the verge of reporting it as faulty . 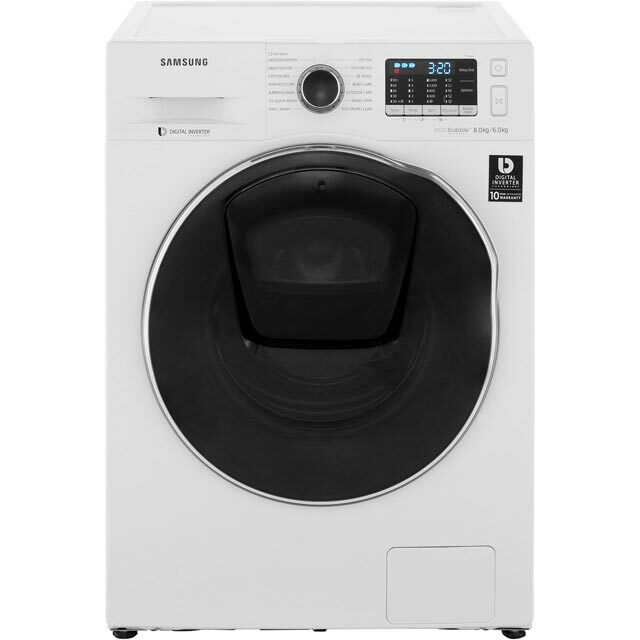 I’ve had this washer dryer for a week and absolutely love it! It washes much cleaner than my old machine due to different cycles and I can add a dry cycle and everything comes out perfectly dry. The app also works well, sometimes it doesn’t connect and I just use the manual buttons which are just as good. We once had a washer dryer in a previous flat we rented and it was rubbish. The clothes would always come out damp and nothing ever came out dry. Other people confirmed this was a flaw with this type of product. Our kitchen is tiny and we didn’t want to have damp clothes around the house so we did some research and bought this. It’s not perfect but it does a fantastic job of cleaning and DRYING our laundry. The reason I’ve not given it 5 stars is because it’s not exactly user friendly and the app is shocking, I wouldn’t download it.